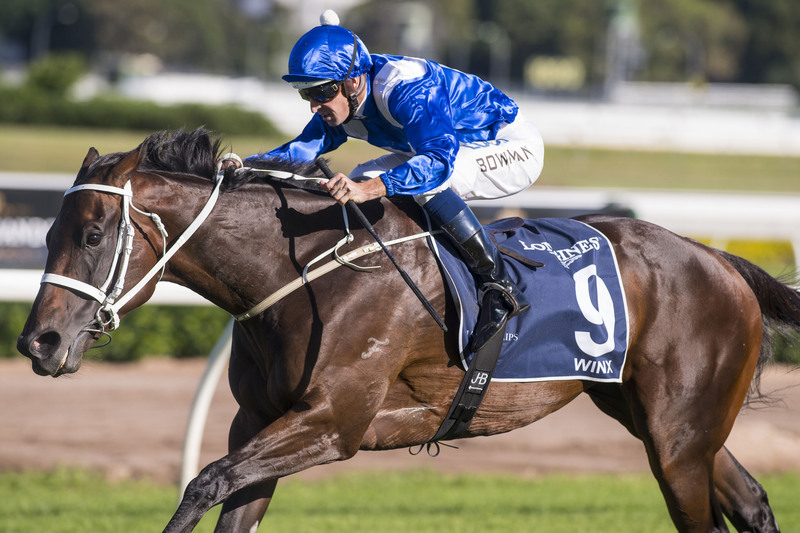 Australian wonder mare Winx signed off her brilliant career in the best possible fashion when dazzling the crowd in the Longines Queen Elizabeth Stakes at Randwick. Winning for the 33rd time in succession, and the 25th time at Group One level, Chris Waller's pride and joy has rightly been afforded superstar status by the Australian media. The seven-year-old, who survived a scare on Thursday when kicking out at railings and leaving a hole in an advertising board after her final gallop, came with her customary run from half a mile out, as the grandstands began to erupt. Rounding the bend widest of all, Hugh Bowman pressed the button with a furlong and a half to run and his partner began to hit top gear, sprinting clear to beat Kluger with plenty in hand, if not by overly far. A tearful Waller told Sky Thoroughbred Central: "It's hard to explain without getting too emotional. She's just an amazing horse for everybody to be part of and I'm just a small cog in the wheel. "My team do an amazing job, it's rare they get the accolades they deserve. "I thought about everything except winning - you don't set yourself up for these big wins, you just do your job." Bowman added: "We came here as confident as we'd ever been and what a journey it's been. It's hard to believe it's the end. Part-owner Debbie Kepitis said: "This is a fairytale ending, we weren't sure if we'd get that, but how wonderful is that girl? "She is the most amazing, supreme athlete I think I've ever seen."